Rosslyn is the closest Virginia neighborhood to Washington D.C. Just across the Potomac river, Rosslyn is a hip, urban community with high-rise buildings that form a dazzling skyline opposite the National Mall. Discover why so many residents love to call our Rosslyn Apartments home. This urban village puts you just steps from shops, dining a so much more that makes it a breeze to get anything you need without setting foot in a car or train. When you do need to commute, its so easy to get to downtown DC. Hop on to the Rosslyn Metro station, which services the blue and orange lines. 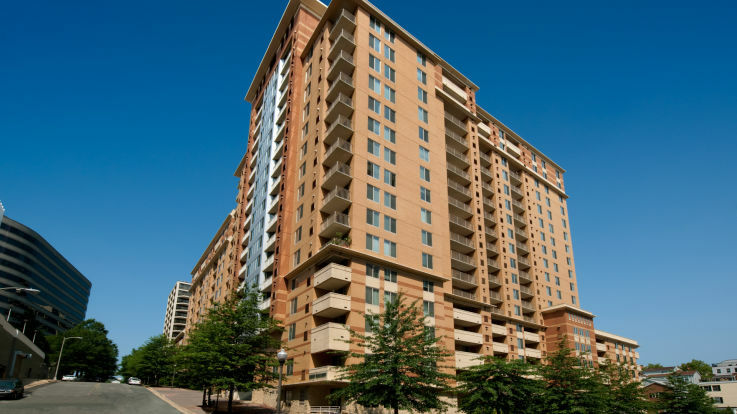 Our Rosslyn apartments are just blocks from the station. In addition to the great geographic conveniences, our apartment homes offer truly wonderful amenities, including an outdoor pool and Jacuzzi, a 24 hour fitness center, and valet dry cleaning services. You'll be hard-pressed to find another neighborhood with Rosslyn's amenities and urban convenience, so visit us today and experience all that our Rosslyn Apartments have to offer!